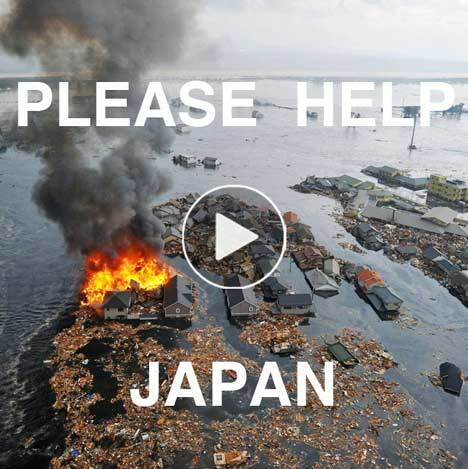 Japanese designer Tokujin Yoshioka has sent this letter and video asking for donations to the Red Cross for disaster relief following the earthquake and subsequent tsunami in Japan. As you may already have known, Japan was hit by the largest earthquake ever recorded on Friday, March 11th. The huge quake and devastating tsunami has left the overwhelming damage to the country and we are still facing this terrifying conditions. As I have received the message from all over the world, I would like to take this opportunity to extend my sincere appreciation for your warmest concerns. This is the time for us to think what we can really do. I have thought what I could do now, at this moment. I believe that there would be more than just watching the situation of this disaster on television to help the lives of people there. I know I am not in place to ask such thing, yet one of the thing that we can do for the people in the afflicted area is to donate for their relief and recovery. There are babies in need of milk, people who has lost their families, and houses. We truly appreciate your support, even the very small support from your pocket, for the relief and recovery of my country.